Hydral Housing units with modular hydrogen producing panels. 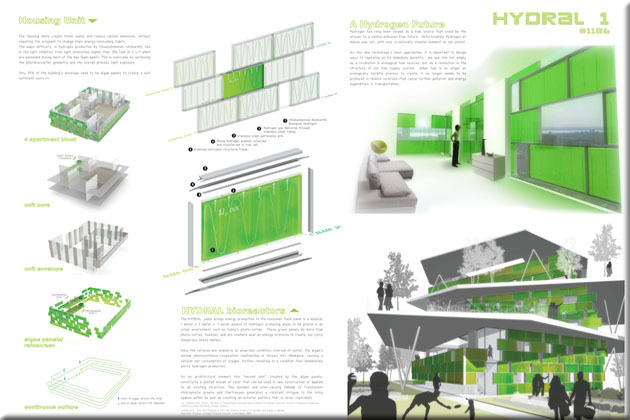 Modular panels of hydrogen producing algae can be placed like photo-voltaics. This second skin of algae panels constructs a quilted mosaic of color. 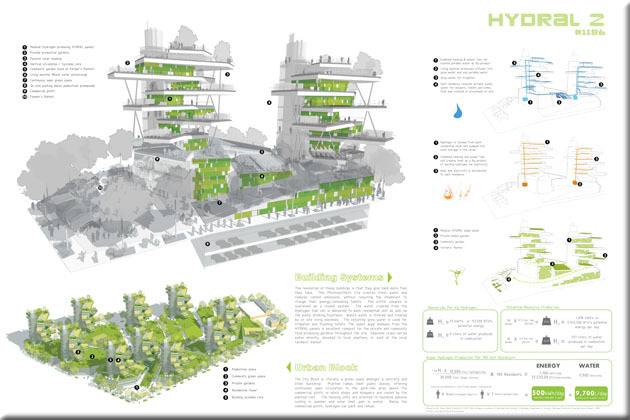 Housing units create fresh water and reduce carbon emissions, without requiring occupants to change energy-consuming habits. For more information about this entry, contact the author. email: thomas@oredesign.org.